Setup on the NAS side, is as easy as checking a couple option boxes. It’s not so straight forward on the client side of things. I found at least three different Windows client applications, all with less than clear configuration instructions. I settled on WinNUT, but lost patience trying to figure out how to configure the new version and opted for the older one which still seems to work under Windows 10. 1. First, navigate to the WinNUT download page. Download WinNUT-2.0.0.4a-Installer.exe and install it. 2. Next, open your Diskstation Control Panel and choose Hardware & Power. 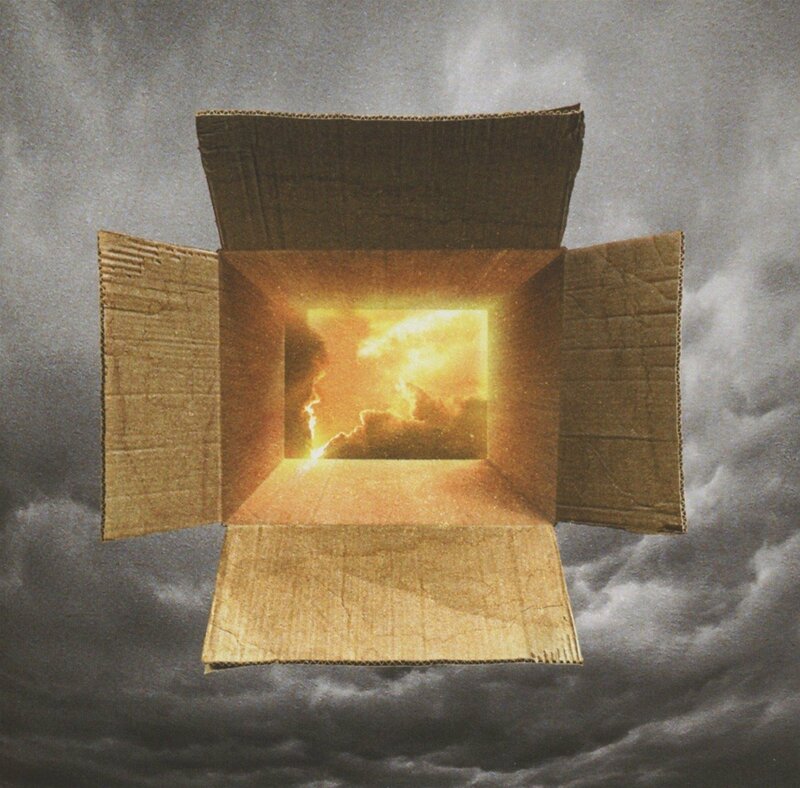 Click on the UPS tab. 3. 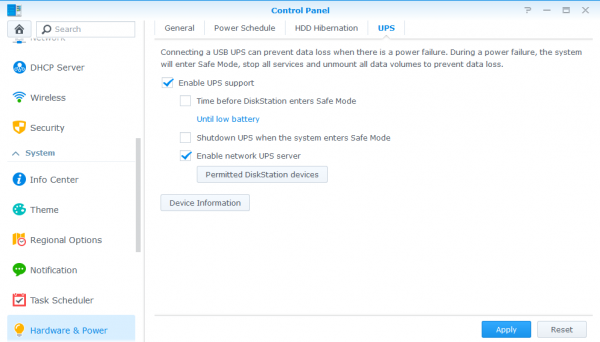 Enable the options Enable UPS support and Enable network UPS server. 4. Click Permitted DiskStation devices and enter your PC’s IP address in the dialog that appears. Click OK to close the dialog and then click Apply. 5. 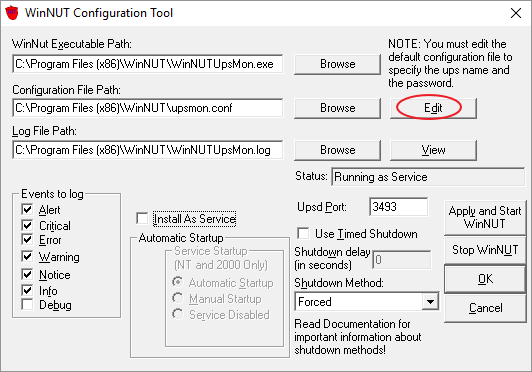 Run WinNUT Configuration Tool on your PC and click the Edit button. Be sure to substitute your own NAS’s IP address. 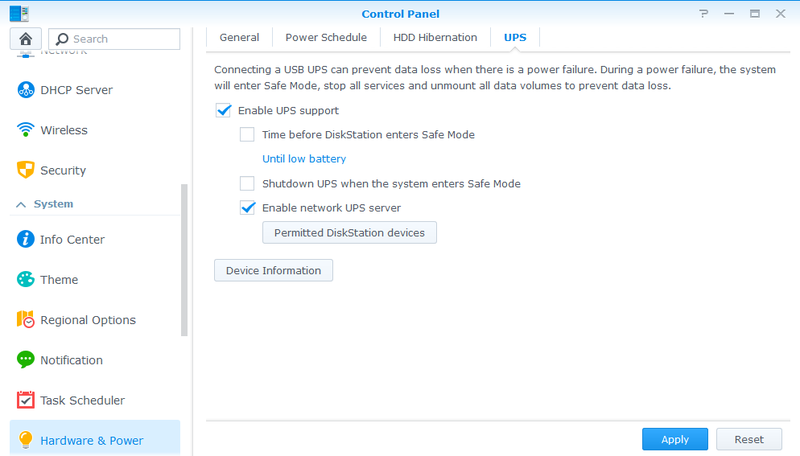 Note that monuser and secret are the default username and password for the ups device user. 8. Click the Apply and Start WinNUT button. 9. Click the View button. Scan the log and make sure there are no errors. If you get a connection error, make sure the IP you entered in the WinNUT config file is your NAS’s correct IP address. Also, make sure you entered your PC’s correct IP address in DiskStation’s Permitted DiskStation devices dialog and applied it. 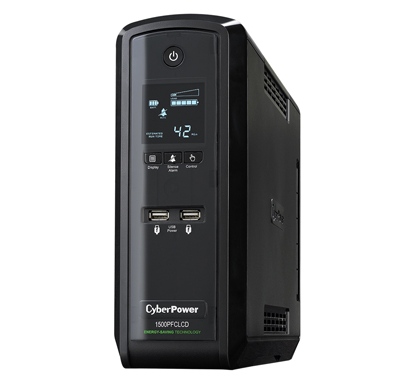 This should go without saying, but your router/hub needs to be connected to a UPS as well, or your NAS and PC can’t communicate when the power goes off. 10. Click OK to close the WinNUT window. 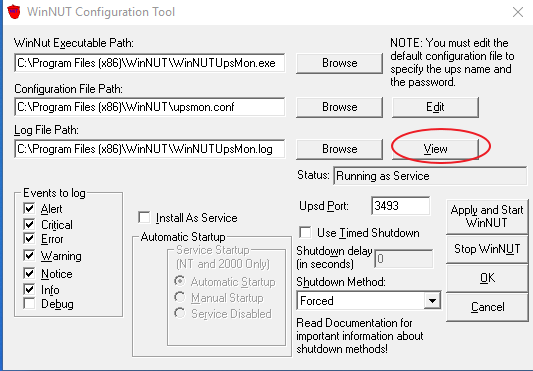 Now, you can either put the Start WinNUT Ups Monitor shortcut in your Startup folder (start and stop shortcuts are created by the install) or enable the Install As A Service option on the WinNUT window. I really like the NUT method better than the one it replaced. However, currently, DSM is triggering a low battery event not long after the power goes off, even though my UPS has plenty of battery power. Based on this thread, I’m hoping it’s just a bug that will be fixed at some point. The MONITOR command has been changed to include the number of devices monitored. Enter 1, typically, after the IP address and before the user name. The format is documented in the config file. Other than that it installed easily. Thanks for the article.